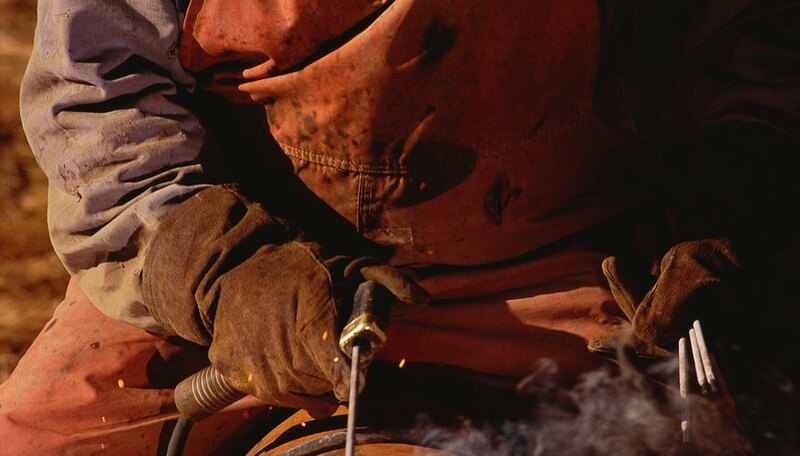 A stick welder is an electric arc welder that uses an electrical current to melt a consumable welding rod, or stick, into a weld. A Tungsten inert gas (TIG) welder uses a non-consumable rod shielded by argon gas to melt metal parts, usually sheet metal, together. Experienced welders agree the conversion can be done although you might not be thrilled with the results. Lincoln Electric manufactures a welder (the Invertec V155-S TIG and Stick Welder) that is basically a stick welder with a TIG accessory pack. Since most stick welders use alternating current (AC, the first thing you must do is convert that electrical source to direct current (DC). Connect a rectifier to your AC stick welding box. You need DC for TIG welding and most stick welders provide an AC power source. You can, in fact, use any DC power source instead of using your box and a rectifier and you do not need a rectifier if you already have a DC stick welder. Connect the power cable of a TIG torch to the negative electric terminal of the rectifier or your stick welding box. You can also clamp the welding rod holder, or “stinger,” to the TIG torch power tab. Connect the gas hose of the TIG torch to a flowmeter and connect the flowmeter to a tank of argon gas. Flowmeters are long gas hoses with a gas regulator valve. Strike the TIG torch rod like a match to start the weld. Rock the torch element to one side and pull back to stop the weld. You will not have an amperage adjustment or an on-off switch.